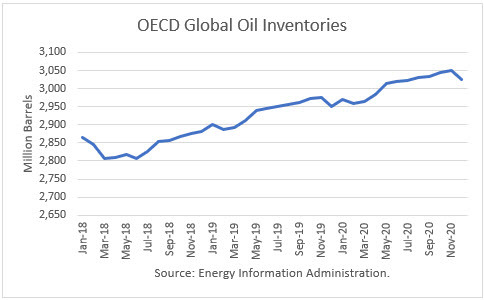 The Energy Information Administration released its Short-Term Energy Outlook for March, and it shows that OECD oil inventories likely bottomed last June at 2.806 billion barrels. It estimated a 21-million barrel decline for February to 2.837 billion, 9 million barrels lower than a year ago. However, throughout 2019, OECD inventories are expected to rise rather quickly through November. At year-end, EIA projects stocks to be 2.918 billion barrels, 64 billion more than at the end of 2018. For 2020, EIA projects that stocks will build another 82 billion barrels to end the year at 3.000 billion. That would push stocks into glut territory. 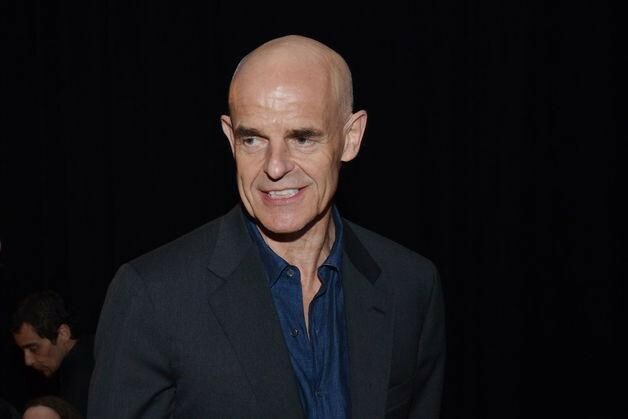 The Energy Information Administration released its Short-Term Energy Outlook for February, and it shows that OECD oil inventories likely bottomed last June at 2.806 billion barrels. It estimated a 12 barrel gain for January to 2.875 billion, 10 million barrels higher than a year ago. Throughout 2019, OECD inventories are generally expected to rise after June. At year-end, EIA projects ending the year with 2.957 million barrels, 94 million more than at the end of 2018. For 2020, EIA projects that stocks will build another 105 million barrels to end the year at 3.062 billion. That would push stocks into glut territory. 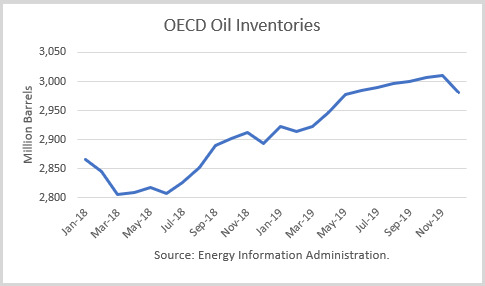 The Energy Information Administration released its Short-Term Energy Outlook for January, and it shows that OECD oil inventories likely bottomed last June at 2.806 billion barrels. It estimated an 8 barrel gain for December to 2.883 billion, 39 million barrels higher than a year ago. Throughout 2019, OECD inventories are generally expected to rise. At year-end, EIA projects ending the year with 2.951 million barrels, 68 million more than at the end of 2018. EIA also extended its outlook through 2020 for the first time. It projects that stocks will build another 75 million barrels to end the year at 3.025 billion. That would push stocks into glut territory. 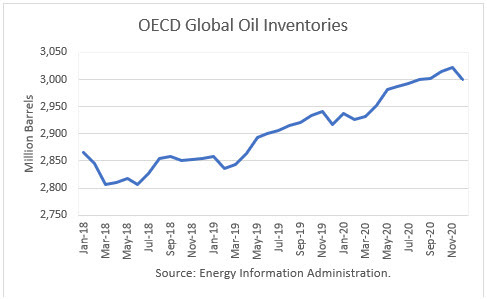 The Energy Information Administration released its Short-Term Energy Outlook for December, and it shows that OECD oil inventories likely bottomed in March at 2.807 billion barrels. It estimated a 10-million barrel gain for November to 2.902 billion. Though it forecasts that stocks will drop in December to 2.894 billion, that is 50 million barrels higher than a year ago. 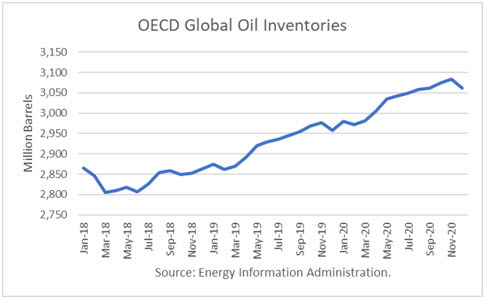 Throughout 2019, OECD inventories are generally expected to rise, reaching 3.010 billion barrels in November. Its projections end the year with 88 million barrels more than at the end of 2018, glut territory.